Over the years, Biospringer has leveraged its strong know-how in strain selection, process and expertise in taste to develop a rich and wide offer of taste profiles to bring pleasure to consumers. Biospringer is committed to innovation by using a cutting-edge technology. Biospringer provides solutions and services to support you in the development of more flavorful, healthier and more balanced foods. How is yeast extract made? Yeast is a microscopic unicellular fungus that has been living on Earth for millions of years. Like any other cell, yeast is made of proteins, amino acids, vitamins and minerals gathered within the cell walls. First, the yeast strain is selected to meet the customer’s final use. This strain will then grow, nourished by a sugar source. 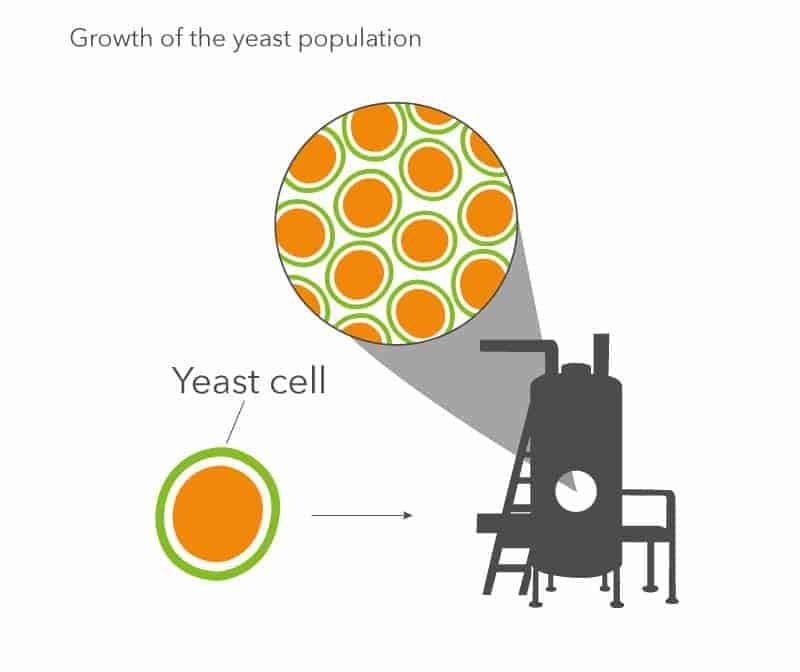 To optimize the growth rate of the yeast, temperature and oxygen levels are closely monitored. The result of the fermentation is called “Yeast cream”, ready to undergo the next step: the Breakage. The aim of the breakage step is to obtain the solubilization of the yeast cell content. To do so, and after a cooling step to stop the multiplication of yeast population, the yeast cream is placed in large tanks at a temperature of 45-55 degrees Celsius. During this thermal process, the cell walls are broken down by the enzymes naturally present in the yeast. The macromolecules of the cell are cut into smaller molecules, obtaining the following “tasty” components: Protein portions (peptides, free-amino acids such as glutamic acid), Nucleic acid (RiboNucleic Acid (RNA), Oligonucleotides, nucleotides (IMP-GMP…)), polysaccharides (sugars, mannanes and glucans). It is necessary to monitor the lysis to obtain the “tasty” components at the correct ratio. Each parameter of the breakage (temperature, and also pH) is crucial and influences the final tasting properties of yeast extract. Afterwards, the “tasty” components are separated from the cell walls through centrifugation and washing actions. From this moment on, the yeast cream becomes yeast extract and preserves the largest part of the initial nutrients of the yeast. The yeast extract is then concentrated through a gentle evaporation to obtain a liquid soluble yeast extract. 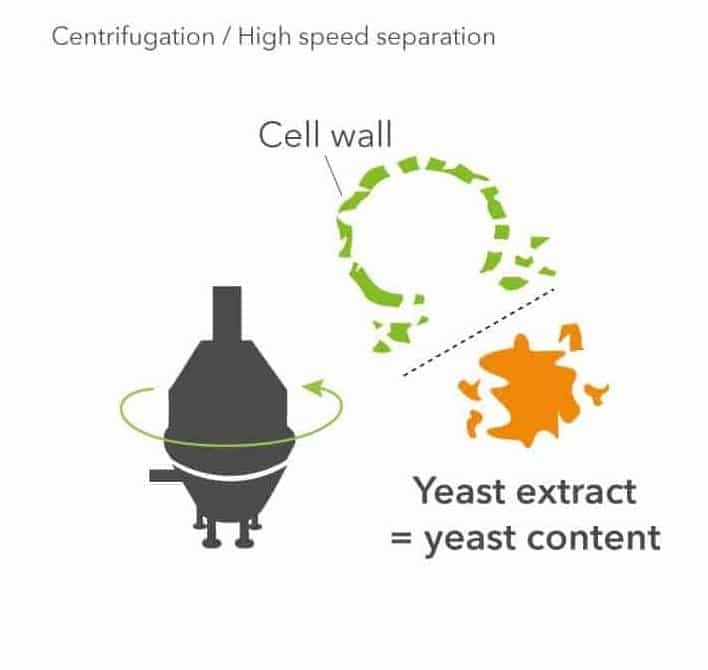 Based on customer’s needs, Biospringer has developed advanced technologies to offer different forms of yeast extract while preserving all its organoleptic properties and benefits. 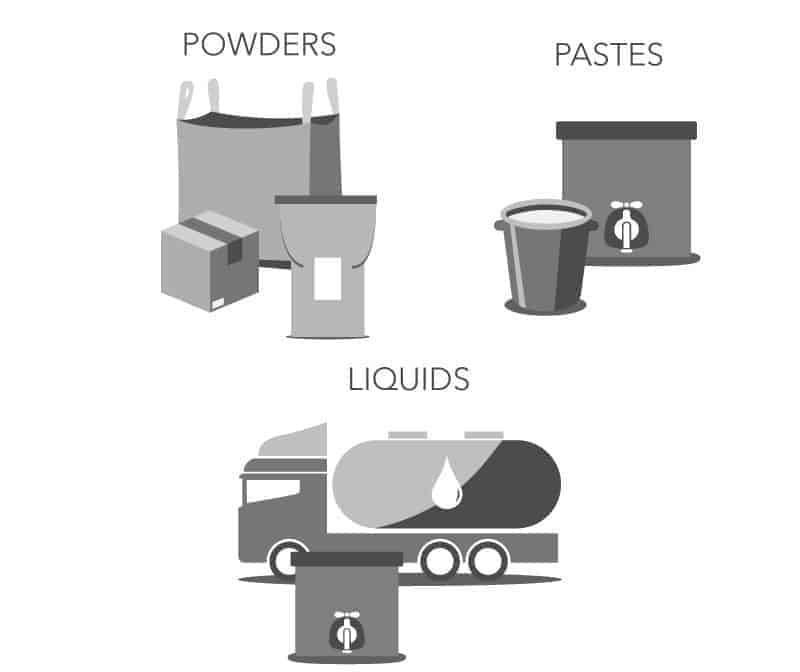 Biospringer Yeast extracts can be purchased in three forms: liquid, paste, powder. 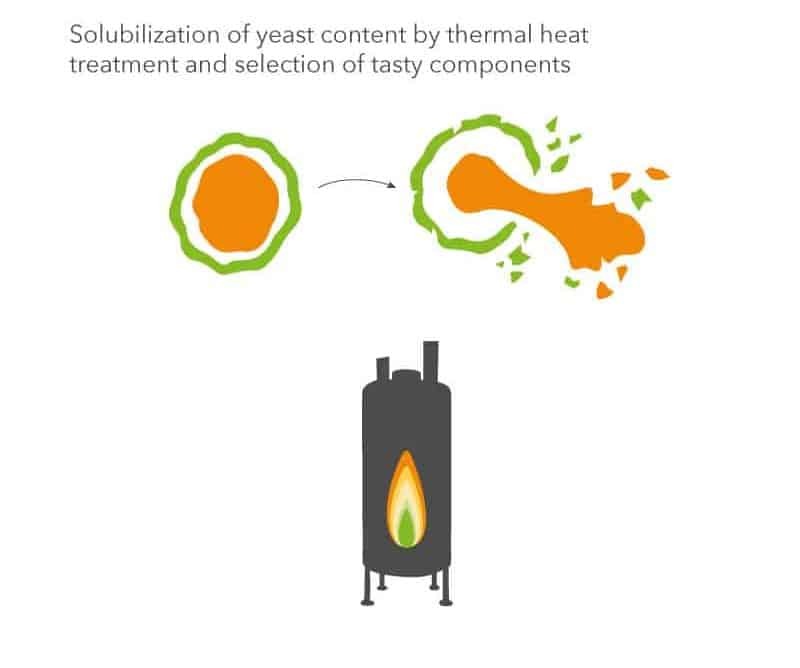 Evaporation, concentration and spray-drying are additional steps to prepare the requested yeast extract commercial forms.